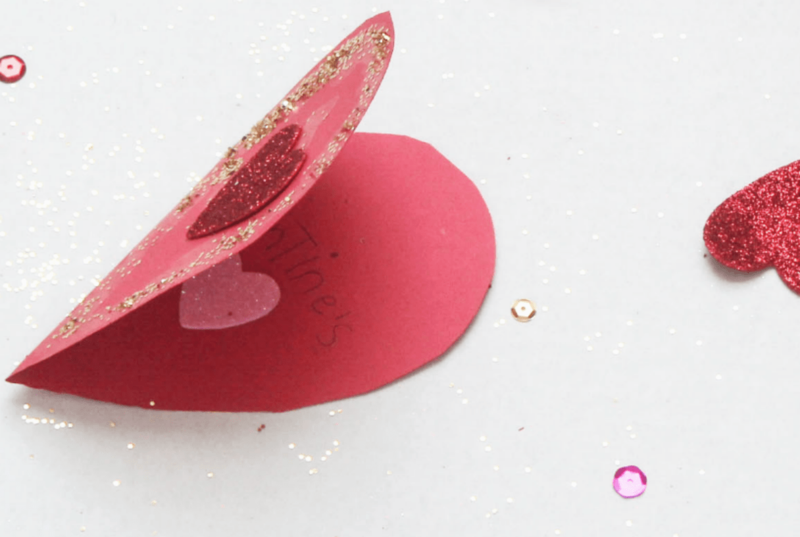 Got kids who love Valentine’s? 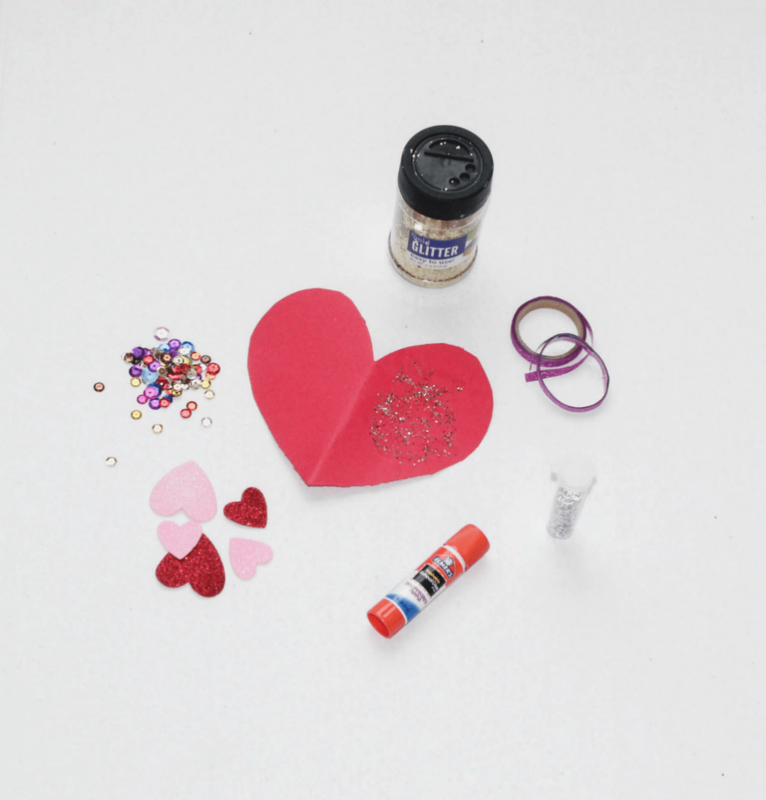 Help them make little cards for their friends. The kids will have fun making them and hopefully, their friends will love them just as much as the kids loved creating them. 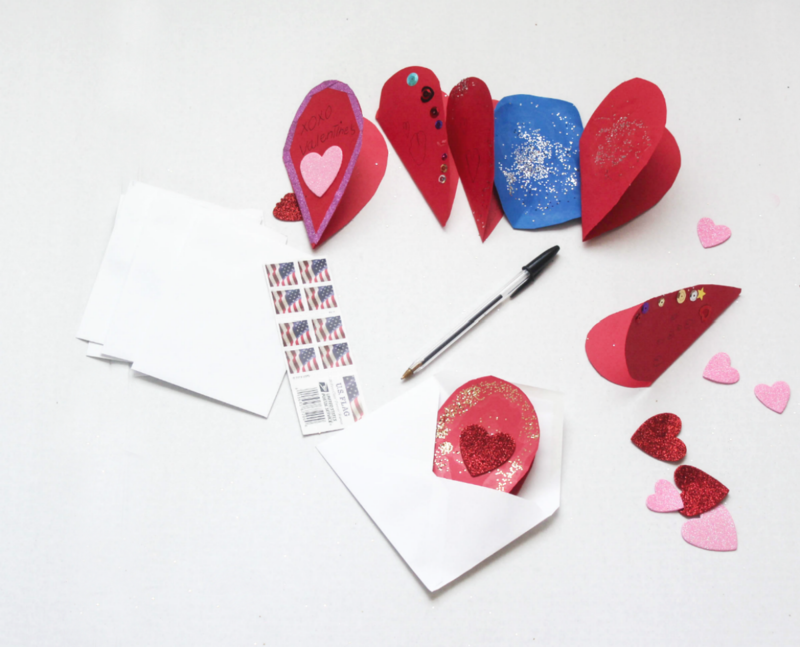 We frequently made Valentine’s cards for members of our own immediate family and on occasion, for friends. Last year, one of our kids started school and most of the giving was centered around giving to classmates and teachers. 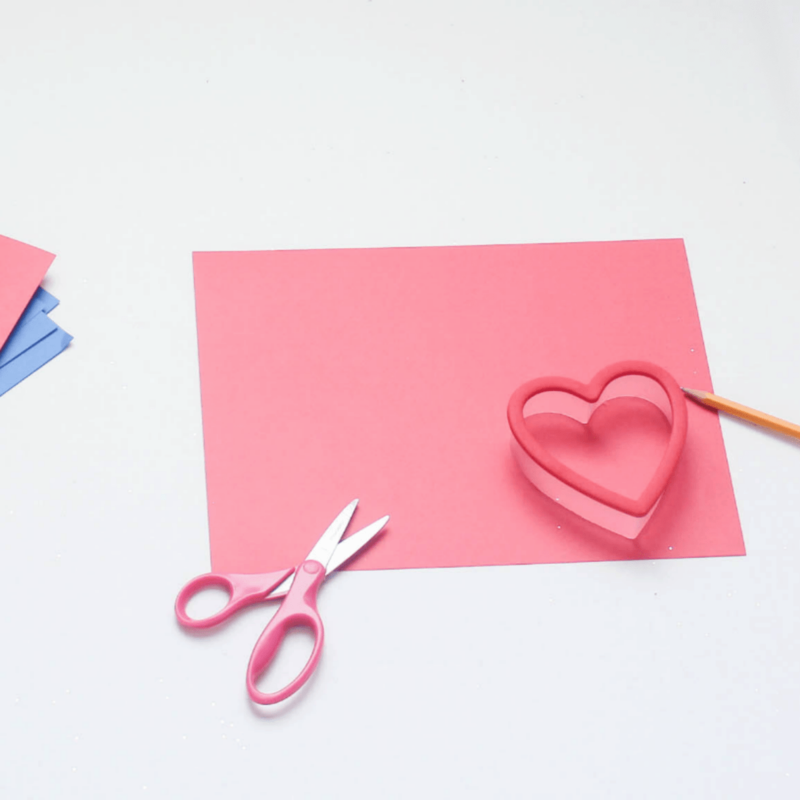 But making Valentine’s cards seems to be a favorite activity for the kids. So we did some again for their friends this year. As you can imagine, they are super easy and don’t require a lot of time to make. But you do need to set aside about 30 to 45 minutes depending on how many kids are making them and how many kids might need assistance. More time or less, it all depends on the scenario. Decorate around the words on the front of the cover (If using glue, allow the card to dry). Once the cards are done, place them in envelopes and mail them to friends. Below are some photos of how we made them. 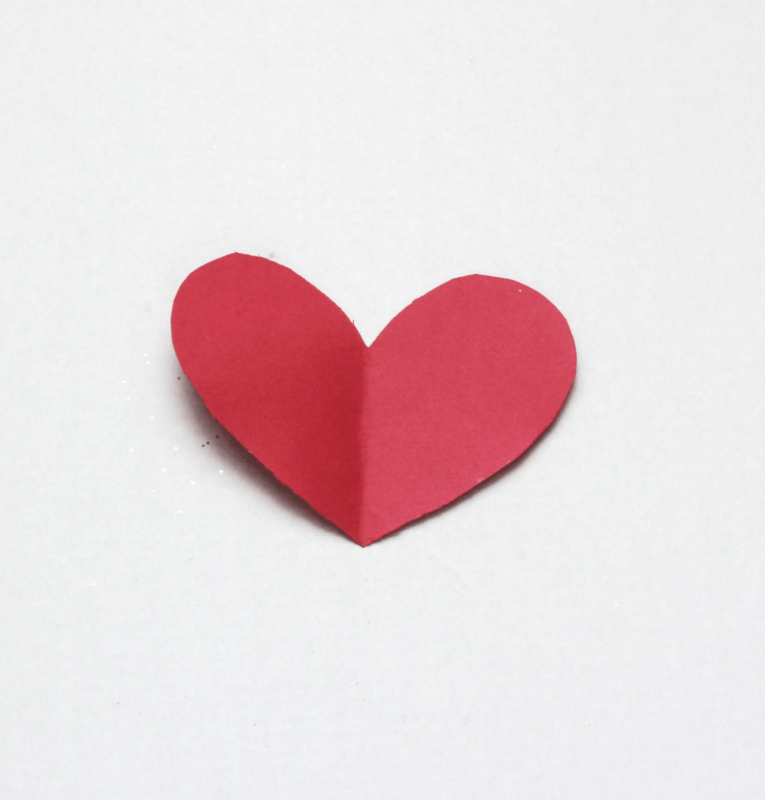 If you are unsure of how to fold and cut, you can always just draw hearts unto the paper and cut them out. Just free hand them or use a heart-shaped cookie cutter, if you need to. 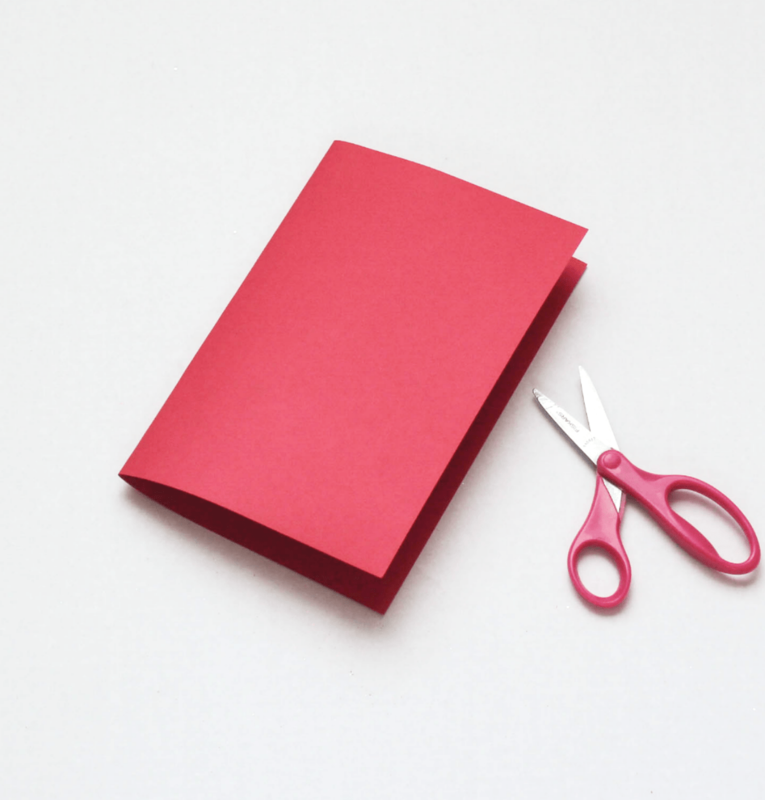 Tip: If you need to make multiple cards, draw how many you could fit on one sheet of paper. Next, layer a few more sheets of paper at the back of the one you drew on. Finally, hold them tightly together in one pile and cut out. 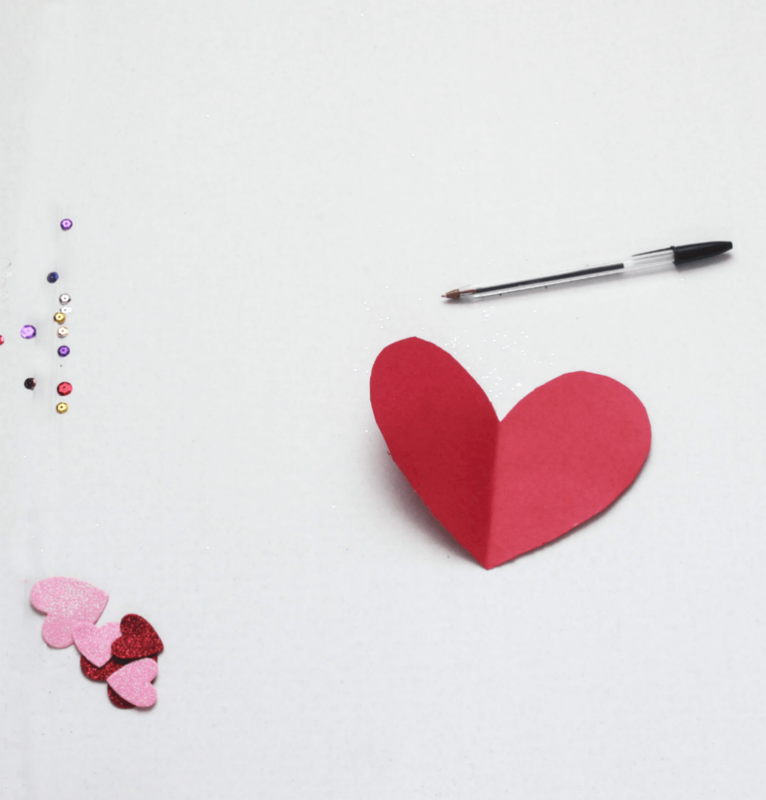 That way you will get many hearts cut out without having to draw each individual one. Repeat this step if more is needed. 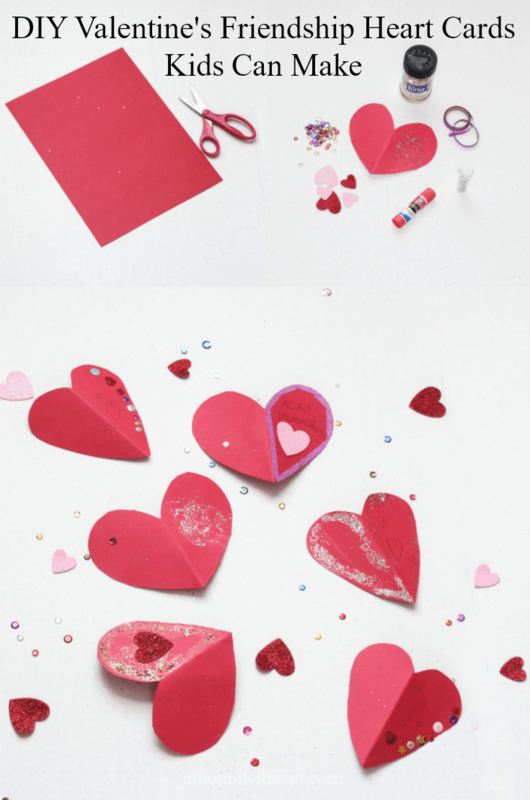 Once the pieces are all cut out, have the kids fill in the words inside the card. Then do the same with the front of the card. (Help the little ones who may not be able to write). Now it’s time for the fun part – the decorations!! 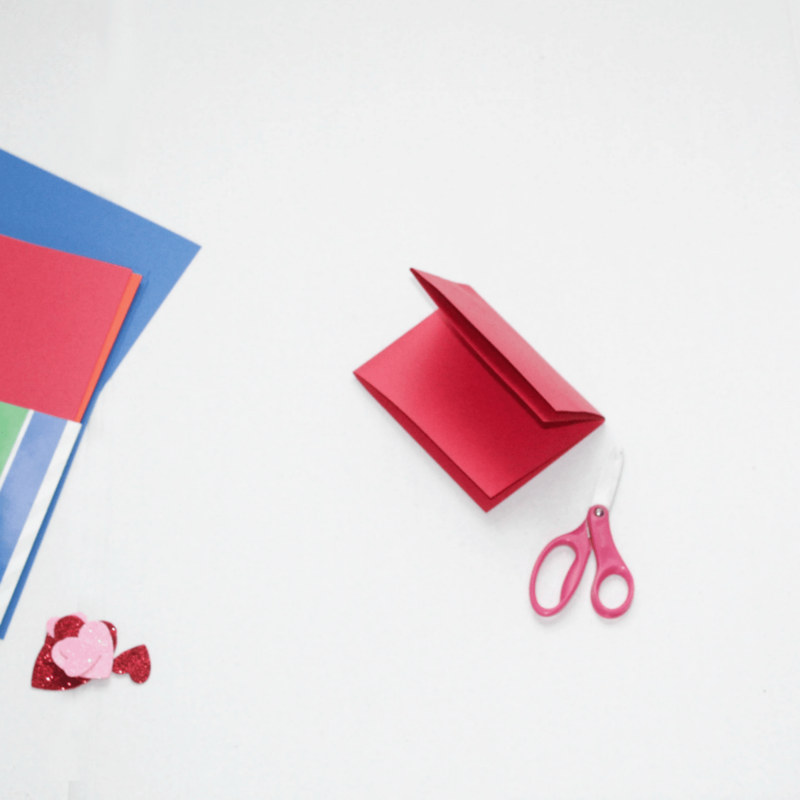 Have the kids choose their own decorations and decorate the cards as they wish. They can decorate the front and inside the cards. You can see how our kids decorated some of theirs below. 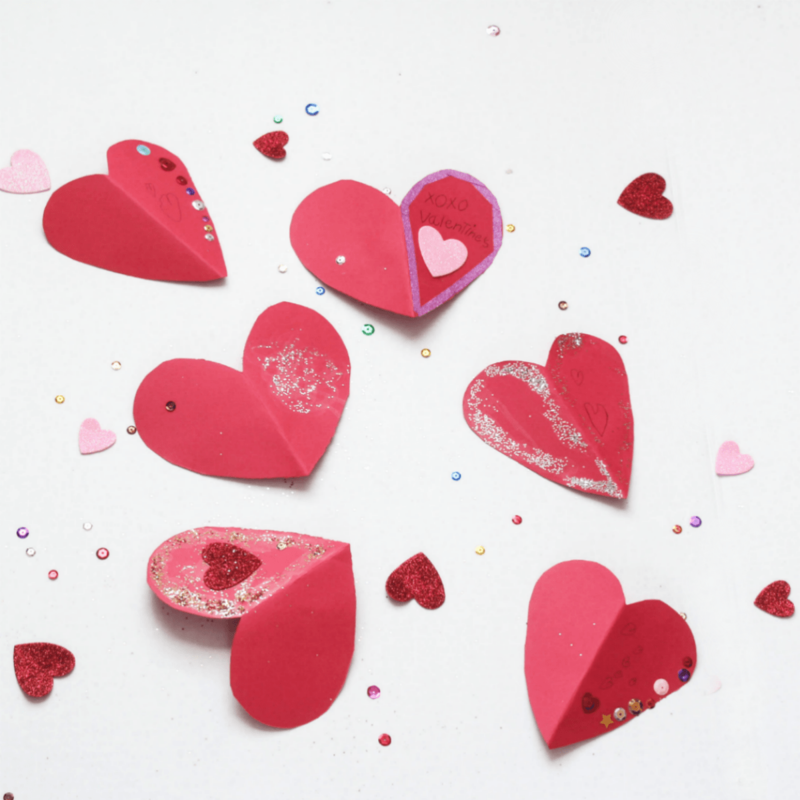 We used some hearts we had on hand from last Valentine’s to decorate, too. We had so many of them and the kids have even used some a few times through-out the year for crafts, but still had some left. They don’t have sticky backs so we glued them on (at the front and middle of the cards). We also used a bit of glue to help the decorative tape stay on. It has a sticky back but needed some reinforcement. It’s amazing how each kid wanted to decorate their own cards differently. Our littlest (3 years old) did not put any words to the front of his card but on the inside, he drew some pictures. 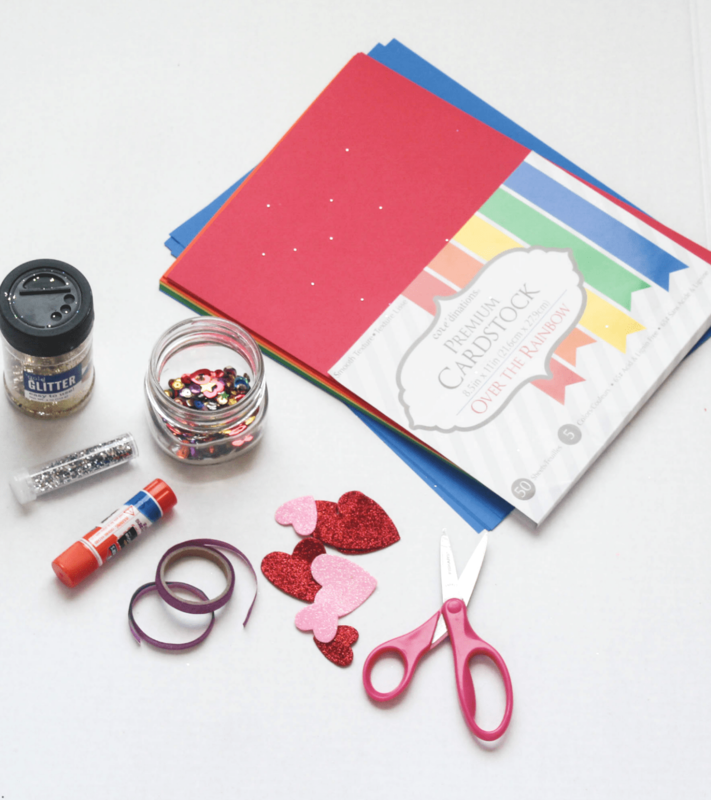 There is really no one set way to decorate cards, so let the kids be creative and help those who need help. Once they were done decorating, we let the cards dry from the added glue. Then mailed them out to the kids’ friends. We used plain small white envelopes – I seemed to have had a bunch of them in my envelope basket so while they are not red, pink, or decorative, I decided to use them anyway. Also, I used regular color stamps rather than holiday ones because I had these too. 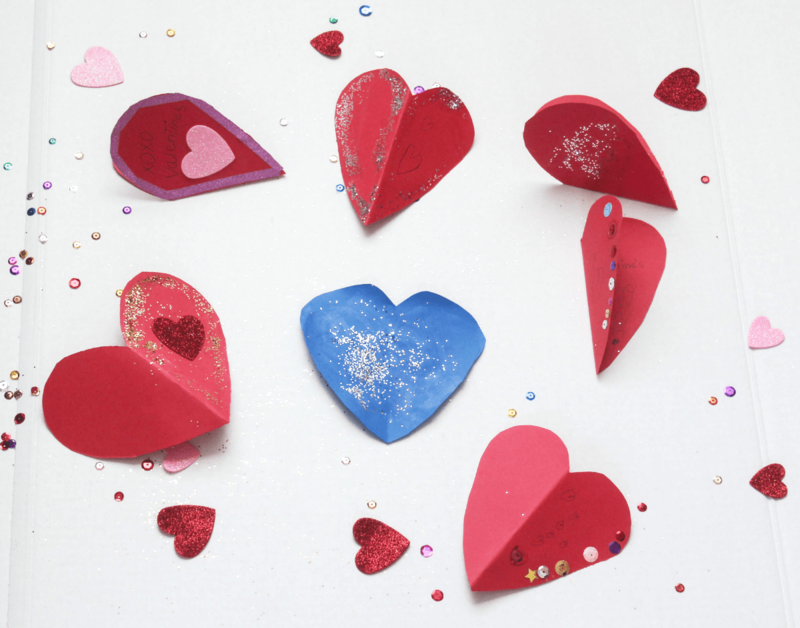 The cards are simply handmade by kids and we love and adore how they turned out. There is something about handmade gifts that warms the heart and that is the best. So what do you think? How do you help your kids celebrate holidays? 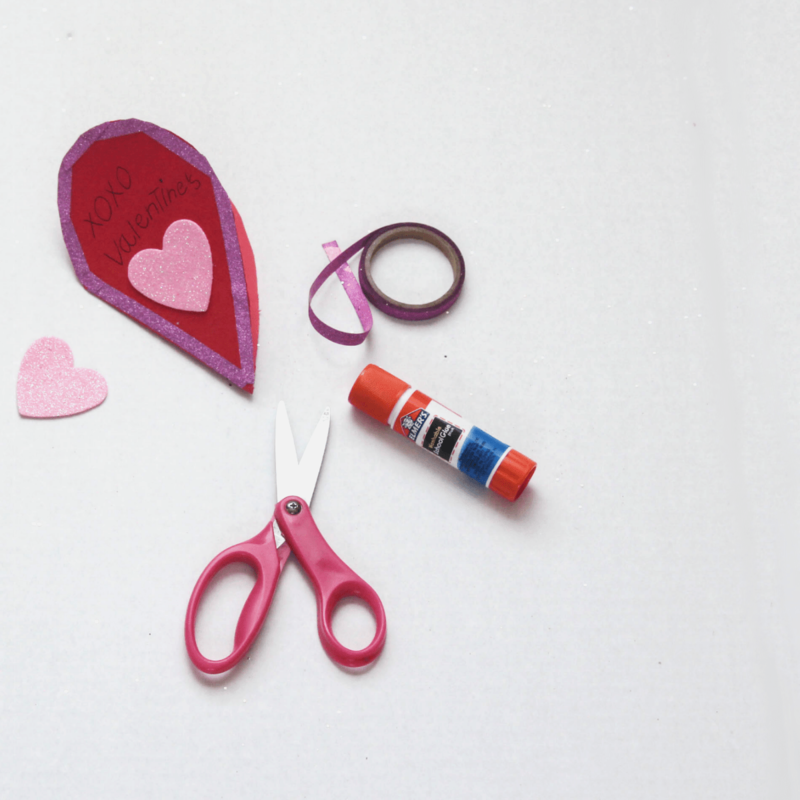 What simple things can you help them create for their friends or for family?